Chelsea started their Europa League campaign with a comfortable 1-0 win over PAOK Salonika on Thursday. Willian scored the only goal of the game in the seventh minute when he finished from Ross Barkley's pass. Chelsea were dominant and should have won by a greater margin as Alvaro Morata, Pedro and Willian all spurned good chances. 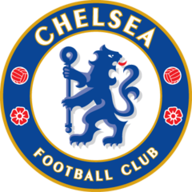 However, the Greek side rarely looked like equalising as Chelsea made a winning start in Group L and continued their perfect start to the season. Playing in the Europa League for the first time since winning the competition in 2012/13, Chelsea struck early as Barkley played through for Willian and he finished past Alexandros Paschalakis. The visitors looked comfortable for the rest of the half, controlling possession but missing chances to extend their lead. Morata's frustrating season continued as he missed a close-range header and then shot wide, while Pedro was denied by Paschalakis after a quick counter. The Greek side might have won a penalty late in the half when Barkley tugged at the shirt of a player from a free-kick. But the incident was not spotted by the referee and PAOK did not come close to scoring after the break as Chelsea continued to control the game. The only thing lacking was the second goal, with Willian shooting at the goalkeeper and then lashing over from the penalty spot. With Hazard, Luiz and Kovacic left at home, Morata and Barkley started for Chelsea and Zappacosta and Christensen made their first starts of the season. Ampadu and Hudson-Odoi did not make the matchday squad after travelling to Greece. Pedro also saw a couple of efforts saved before suffering an apparent shoulder injury late in the game when he was pushed into the goalkeeper's knees as he was sliding out. Pedro was helped off the pitch by two physios as Chelsea saw out victory. Each of Chelsea's last 10 managers have won their first European game in charge of the club, with Claudio Ranieri the last to fail to do so in September 2000 (0-2 v FC St Gallen). Chelsea have won each of their last four games in the Europa League, a run which includes their final three games in 2012-13 when they won the competition. 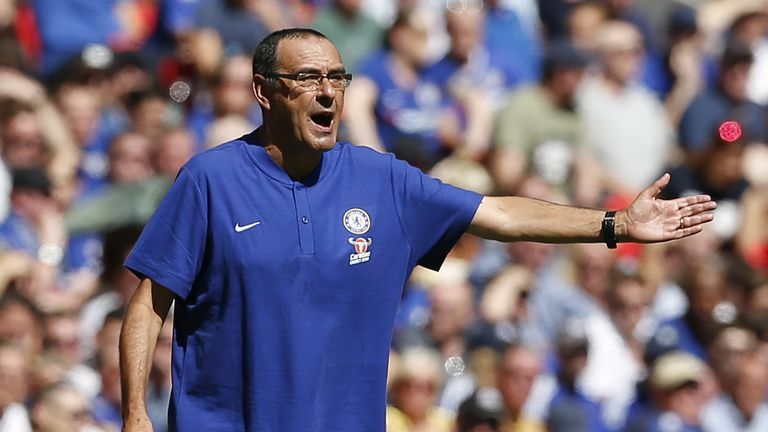 Chelsea manager Maurizio Sarri has won 100% of his group stage games in the Europa League (7/7), keeping five clean sheets in this run. Willian has been directly involved in 13 goals in his last 15 starts for Chelsea in European competition (10 goals, 3 assists). Ross Barkley's assist for Chelsea's opening goal was his first in club football since April 2017 for Everton against Leicester. Jorginho, Barkley and Antonio Rudiger were solid for Chelsea, but it was Willian who ultimately secured victory. He should have scored again in the second half when he fired over from inside the box, but it was a lively display from Chelsea's captain for the night. Chelsea face West Ham on Sunday, live on Sky Sports, before a Carabao Cup tie against Liverpool on Wednesday, also live on Sky Sports, and then a Premier League match against the same opponents three days later.